USED OnePlus X - 16GB - Onyx (Unlocked) Smartphone Still In GREAT Condition! 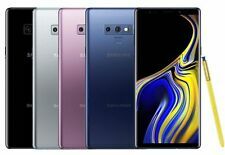 Samsung Galaxy Note9 SM-N960U 128GB Unlocked Smartphone - Blue read! 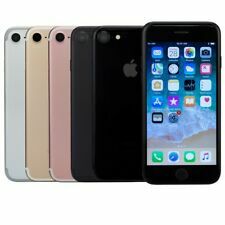 Apple iPhone 6s - 64GB - Space Gray (Unlocked) A1633 (CDMA + GSM) Excellent!! These unlocked smartphones provide you with the means of pairing the phone with your preferred carrier or contract. These devices come with a range of different screen sizes that range from 2 inches to upward of 6 inches. These smartphones are manufactured by a wide array of different brands, including Apple, HTC, Samsung, LG, and Nokia. What are some features of unlocked smartphones? These unlocked devices for multiple carriers can be equipped with a wide array of features, like 4K video recording and 3G and 4G data capabilities. Models like the LG Wine Smart, Apple iPhone 5S, the Google Pixel 2 and the HTC One E9 Plus are outfitted with Bluetooth functionality, and nearly all available models come with such features as a touch screen, music player, and internet browser. The majority of the Apple iPhone and Sony Xperia models provide you with the ability to capture video in 4K definition video as well as 720P definition 1080P. Models like the Samsung Galaxy S9 and Nokia 8 come with the ability to use dual SIM cards within one device. 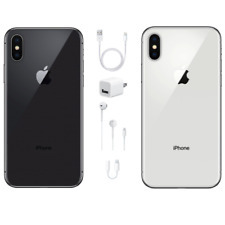 Features such as voice-activated dialing and push-to-talk are equipped on all models, while the inclusion of dual rear cameras can be found on models like the Apple iPhone X and Huawei P20 Pro. GPS functionality is included in each of these devices. A rugged design is a feature of phones like the Caterpillar S41 and Motorola Droid Turbo 2. What colours are these unlocked phones available in? These unlocked devices are available in a large variety of colours, such as black and silver. Some of the other colour options available for you to select include red, green, blue, brown, white, and rose gold. A number of these smartphones also come in multiple colours, displaying combinations like brown and black and white and black. What does the storage capacity of a phone refer to? The storage capacity of a smartphone refers to the amount of storage that can be used to hold all your downloads, programs, and documents. Although there are a few additional storage types available on these devices, such as the RAM, the standard storage is the area where all your applications are kept once you have downloaded them. This storage is held on a flash memory card within the smartphone. A small amount of the storage within these devices will be taken up by system software, while the rest will be open for you to use. 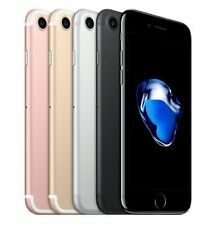 When it comes to these carrier unlocked smartphones, there are many storage amounts available for you to select, ranging from 128 megabytes to 256 gigabytes. There are 1,000 megabytes in a gigabyte. 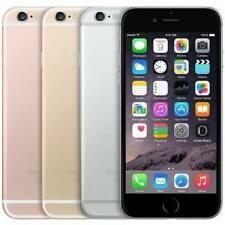 Available models such as the Samsung Galaxy S5 and Apple iPhone 5S come with 16 gigabytes of storage. Certain models, such as the Samsung Galaxy Note 5, the Google Pixel 2 and the LG V20, are equipped with 64 gigabytes of storage.